Concrete roof tiles provide brilliant durability and longevity, hence their use on millions of properties across the country. Their popularity is not simply due to their strength. 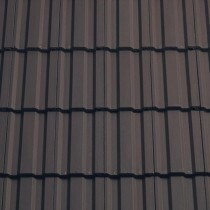 It is also the variety of profiles available when choosing concrete roof tiles. These includes pantile, Roman and many more. Our range of concrete roofing tiles includes those crafted by leading manufactures, such as Redland, Marley and Sandtoft. Each of these brands are recognised for their use of high quality materials and proven manufacturing techniques. Many of the roof tiles available from these brands also comply to various British Standards. Whether looking to replace your existing roof tiles or are in search of a beautiful option for a new build, our range of certain to offer you with the perfect solution. To ensure this, our concrete roof tiles are available in a variety of finishes and colours. Each are carefully crafted to match various building types and environments. 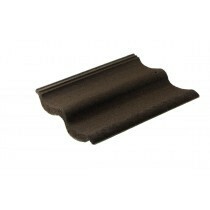 Have Questions About Our Concrete Roof Tiles? If you have questions about our range of concrete roofing tiles, speak to our team by telephone or via the online chat. With over 40 years of experience in roofing, we’ll help answer your questions about our tiles. We will also help you pick the necessary fixings and flashings for your project. Buying roofing materials can be daunting, especially when ordering them online. With over 40 years of experience in roofing, however, we get asked lots of questions about our growing range of concrete roof tiles. Here are some of the most common questions with answers for each! How Much Do Concrete Roof Tiles Weigh? These roof tiles can weigh as much as 75kg per square meter. However, this is dependent upon the specific tile and headlap required. Simply refer to the technical data on each of our concrete roof tiles to calculate the number of tiles and weight per square meter. Which Brand is Best - Redland, Marley or Sandtoft? Redland, Marley and Sadtoft are all highly regarded manufacturers. Whilst their profiles and colouring can differ slightly, all of their concrete roof tiles are regarded as the highest quality available today. If you are replacing a handful of damaged tiles, try to stick with the same brand. This is as the colours may differ for each manufacturer. 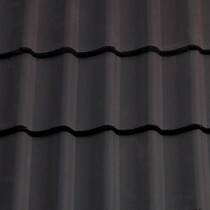 What is the Coverage of Concrete Roof Tiles? 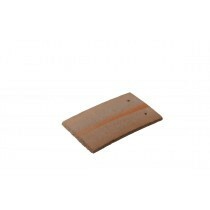 The amount of coverage provided by these roof tiles is dependent upon your pitch. This is as you will need to alter your headlap accordingly, which ultimately reduces the amount of coverage provided by each tile. Simply refer to the technical data on each of our concrete roof tiles to confirm the cover length and width. Will My Roof Tiles Be Damaged in Transport? Whilst metal or plastic roof tiles don't typically withstand damage during transportation, concrete roof tiles may. We always recommend that you order slightly more tiles than you require. In some circumstances, as many as 10% of your roof tiles could chip or crack during delivery. If you have more questions about our concrete roof tiles, speak to our team online or by telephone. With over 40 years of experience in roofing, we'll help answer your questions and will ensure you have everything you'll need to complete your roofing project.